This charm from Erica Molinari is handmade in sterling silver with oxidized detailing and has a diameter of 3/4. 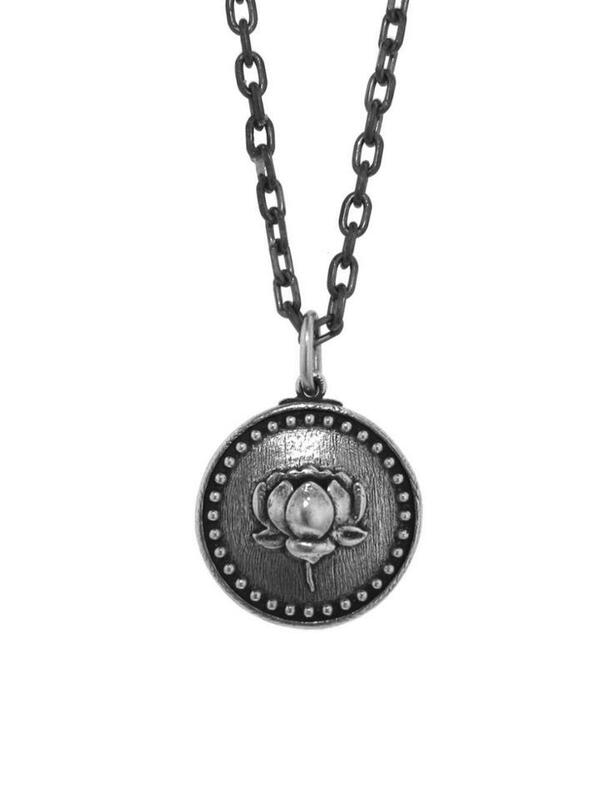 One side of the charm has a beautiful lotus flower with a bead frame and the other side has Love is the essence of life, etched in Latin on the other side. Please note that all charms and chains are sold separately.